I found a salmon recipe the other night in my Real Simple magazine (where else, honestly? 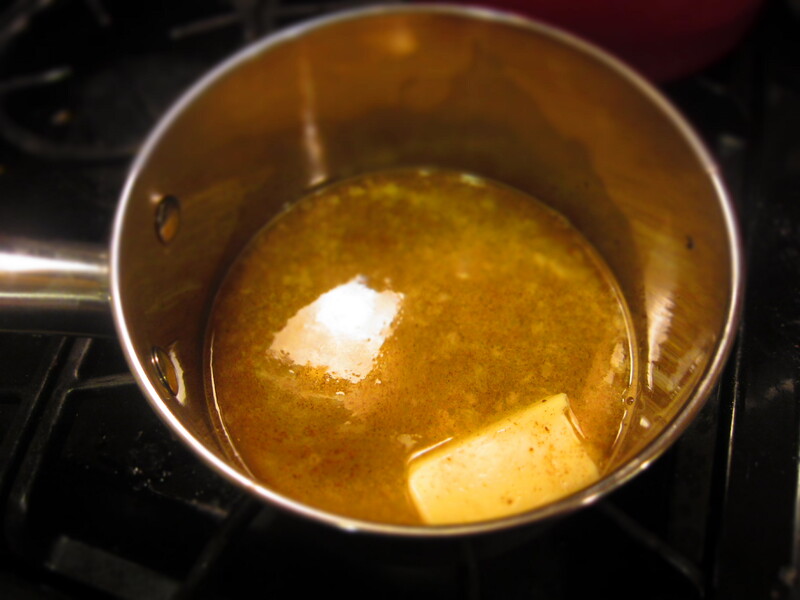 ), and was all set to make it tonight when I realized…it called for real maple syrup, and we had it- but, apparently someone must have used it all. Oh well. 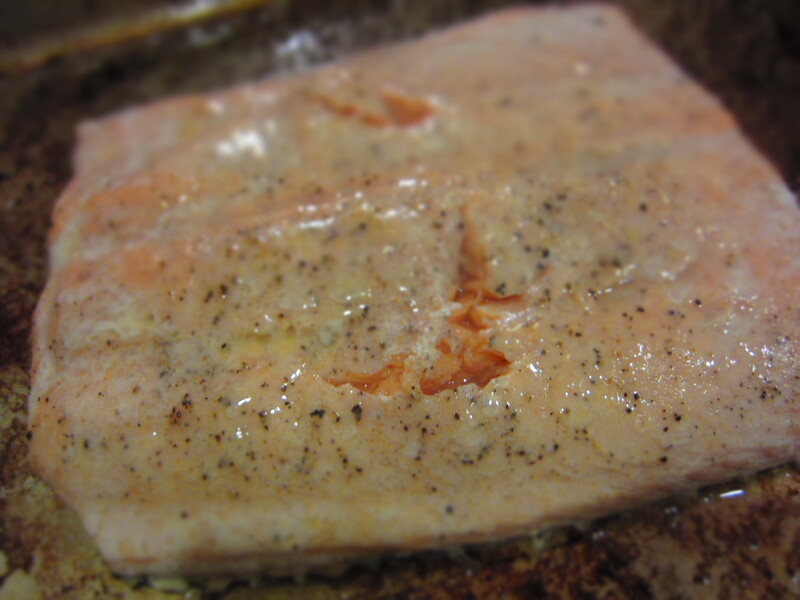 The recipe was for a maple-glazed salmon, so I went online for new salmon recipes, and chose this one from Epicurious.com, bc it’s a sweet-ish one that seemed similar to the maple syrup recipe- it uses brown sugar. 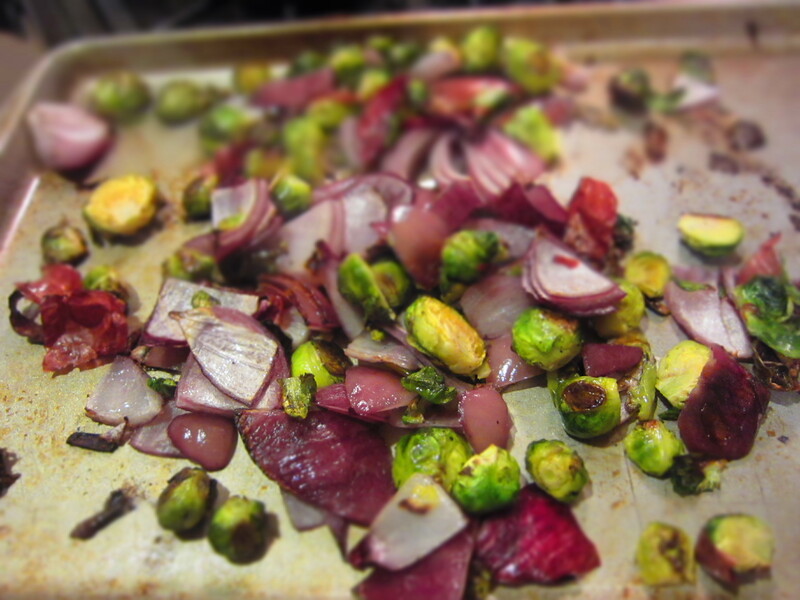 But first, the roasted Brussels sprouts w/red onion: this was in the Real Simple recipe, and was the most easy thing to make. And, it looked gorgeous, and tasted great- definitely planning to save this side! 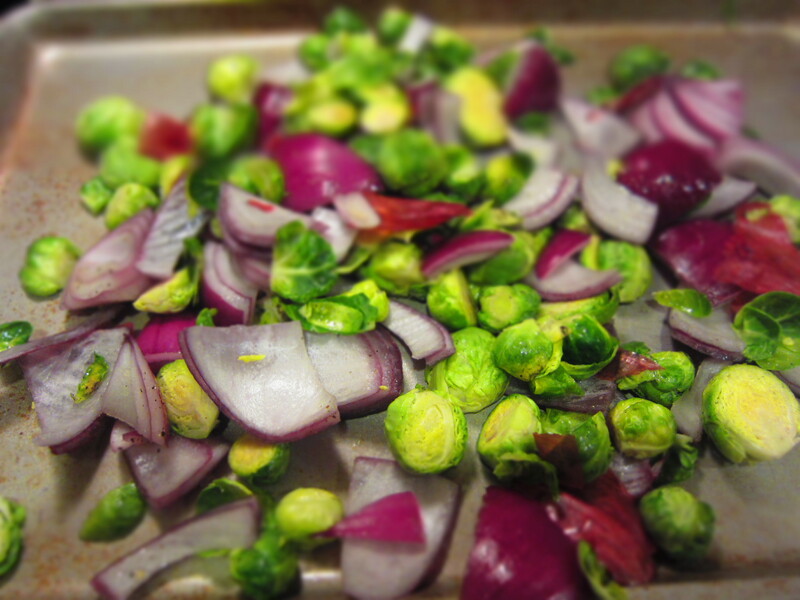 Still looks great after roasting! Anything's better w/loads of butter! Gotta tell you, I was totally scared at this point! My poor salmon! The result- surprisingly delicious salmon! 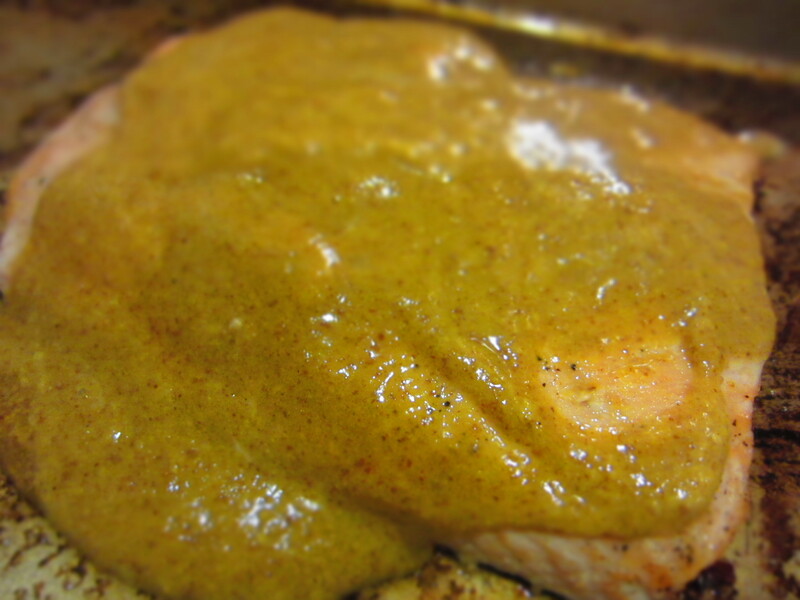 I was pretty skeptical about pouring mustard and brown sugar on yummy-looking salmon, but did it anyway, and wow- this was sooooo good! After the first bite, E was raving about how good this was- and, he rarely goes on about salmon! 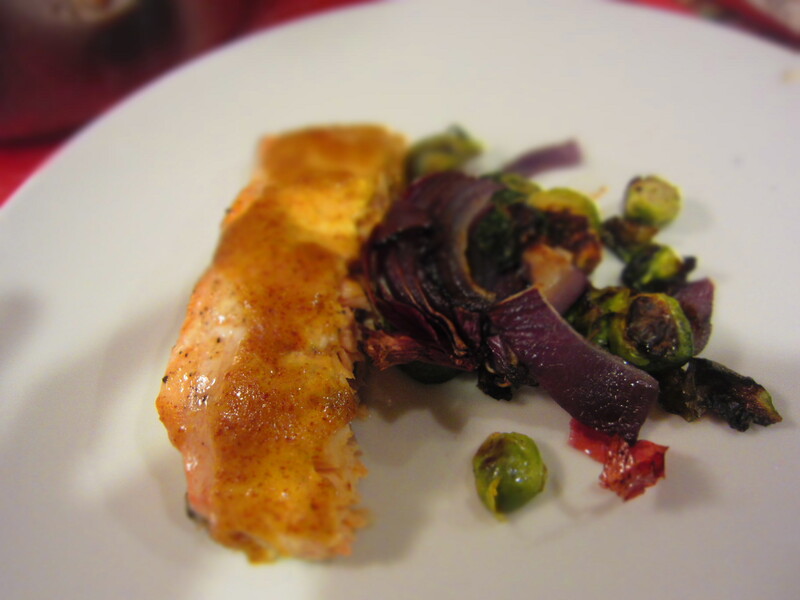 Last-minute salmon recipe=huge success! Omgoodness, you need to make this!